Doing well, Been doing a lots of Interviews today, It’s lot of fun. Your 13th album “Meditations” is scheduled to be released this year, so how is it going so far? It’s going awesome, receiving a lot of positive response all over, things are going real well and we are so happy about this and all the things that are going on around us. Any plans for 2018, any touring going to happen? We have a lot of tours that will be happening over the course of this year, some huge events in Europe. We are so excited to do our shows, a lot in North American and other parts of the World is going to happen, more news will come soon. 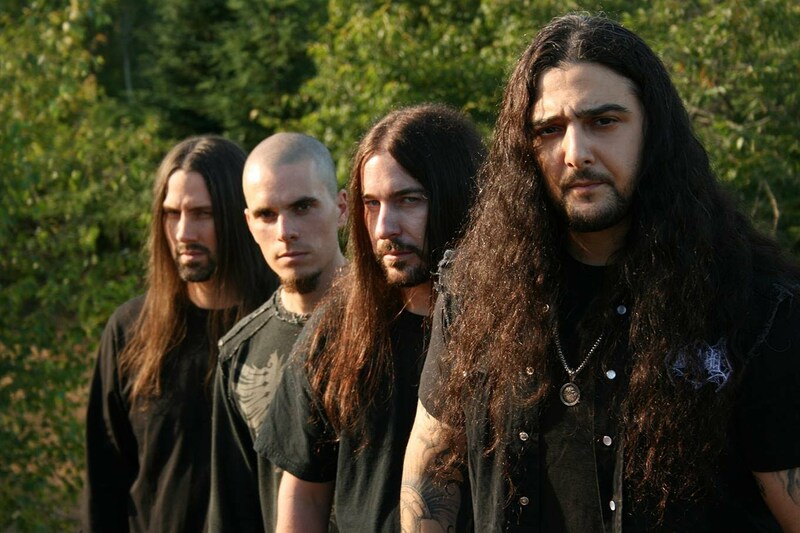 Kataklysm has been making music for the last 28 years, so how do you feel about that and is there still fuel in the tank? Ahh I don’t know how to answer this question hahaha…Years are just a number, it keeps going Kataklysm is still the same, we feel the same and happy doing it like we just started. When we started back in 1991 people said we would last only 5 years but things have changed, we are still making music for the last 28 years. Yes we will hopefully make more music for another 28 years. There were some frequent changes in drummers over the years, what could be the reason behind it? There are some responsibilities which cannot be avoided, we try to make things work out, but I’m sure this line up will last for a long time hopefully. We are all happy together and making music and having a lot of fun doing it. AOL Radio had listed you in the top 10 Death Metal bands of all time, What is your thoughts on this achievement ? Man this is so huge for us, we are overwhelmed and so happy that we have been recognized, makes us feel we accomplished something great for us and the fans, this truly makes us proud and very honored. How do you feel performing in front of the fans from the 90’s as compared to fans of the now? 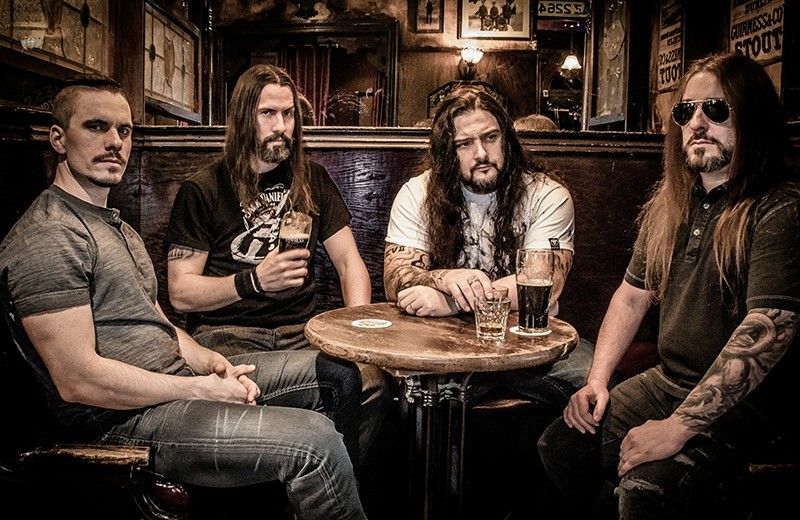 Although they are two different era’s, Kataklysm is still the same and just to have fans from the 90’s still attending our shows or picking up new fans as we progress and continue our musical journey, we are very content and happy to have a following of all ages. We live to perform for them. Over the years, you have done so many concerts and there must be a lot of memories that are amazing, what would be the one that you would like to share? Haha memories there are a lot, we always say to ourselves we should not drink before a show, and we keep drinking a lot haha, this is very funny and we have a lot of fun before the shows, this is very happy moment I would say. You have toured extensively over the years, are there are some countries that you have not yet performed, would you be interested to go to those untouched lands? We love to go and perform in front of our fans, we have fans from all over the world, it is also an opportunity to learn more about a country and the culture, sure we would love to explore all those untouched lands soon. Do you have a message for the fans and readers of MHF Magazine? Firstly thanks so much for sticking with Kataklysm, Although we were told that we would last 5 years it was the fan who supported us and kept us going. Without you the fans we wouldn’t be here 28 years later making music, thanks for everything you do. We will soon meet in some concert somewhere in the World. Thanks so much for your time that you shared with us , you have a good day my friend?